Computers and Internet have become one of the vital part of our life. Most of our tasks are carried out with the help of Internet which increases the need of a secured and reliable network for data safety and fast transmission over networks. Ethernet Cat6 wires are one of the latest wiring techniques to built the secured Ethernet LAN connection within a network. 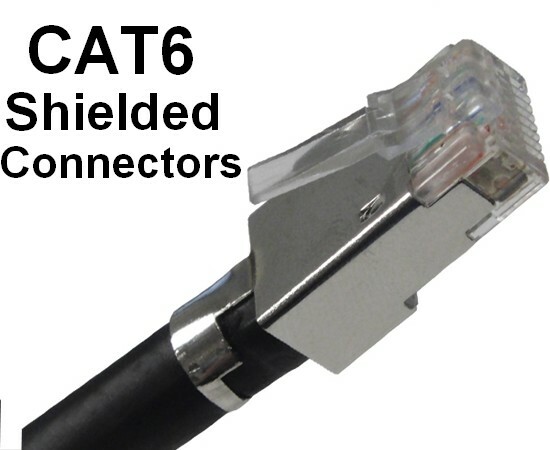 CAT6 wires are mostly implemented while building a network because they offer more security, reliable and fast transfer of data, speed and a robust network. But in order to construct more reliable network having less data loss one need to pay attention over the connectors they choose while connecting two ends of the CAT wires in building a network. Connectors are used to connect two ends of the wires in a secured way which helps in maintaining data flow, data security, more reliable network and a robust Internet setup. One of such connectors are CAT6 Shielded Connector that helps in a shielded LAN connection. CAT6 Shielded Connector protect Critical data corruption from EMI (Electromagnetic Interference) and RFI (radio frequency Interference) and is mainly preferred in the LAN connections of health care, manufacturing, casinos and other environment where EMI/RFI is a major area of concern for data corruption in the channel. Provide complete shielding against EMI/RFI and enhances data security in the network. With its unique design the connector does not require any punch down tool. Connectors also features robust die-cast housing style and helps in enhancing data and network security. With a wide angle, hinged design for easy access/termination it is quite simple to use the connectors. CAT 6 connector supports IEEE 802.3an 10GBase-T performance when used with an approved network cable.